Take the trek through snow, rain and city streets with this premium quilted jacket. Part of the Adventure Division, the Bunker is filled with thermal efficient Thinsulate synthetic down, offering superior heat. Fully taped seams and a 10k rated, TPU laminated and DWR coated exterior combine to keep you dry regardless o the conditions. 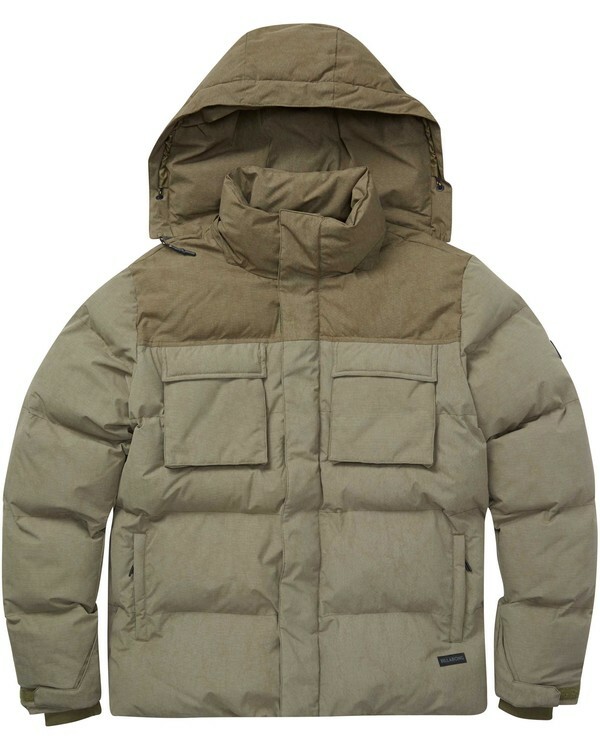 Featuring timeless design and craftsmanship, the quilted jacket offers a contrast upper and removable hood. 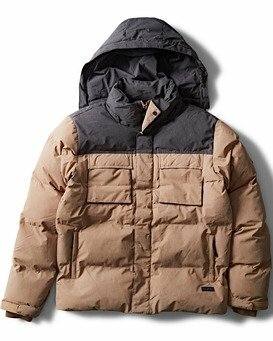 Ripstop shell with quilted taffeta lining and heavy fill. 10K/10K TPU laminated and DWR coated. Zipper closure with storm flap. Dual chest pockets with snap closures. Adjustable storm cuffs with rib inside.